Butler's Court during the time of Wiggins Teape. 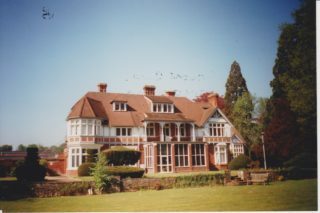 Butler’s Court was built in 1891 by Arthur Riversdale Grenfell, the grandson of Pascoe Grenfell, the MP for Marlow from 1802 to 1820; who lived at Taplow Court (now a hotel). His grandmother was a Du Pre of Wilton Park and Butlers Court was built on land still belonging to the Du Pre family. The estate, which surrounded the property, ran to the Oxford Road on a long frontage stretching as far as what is now the junction of Burkes Road with the A40. 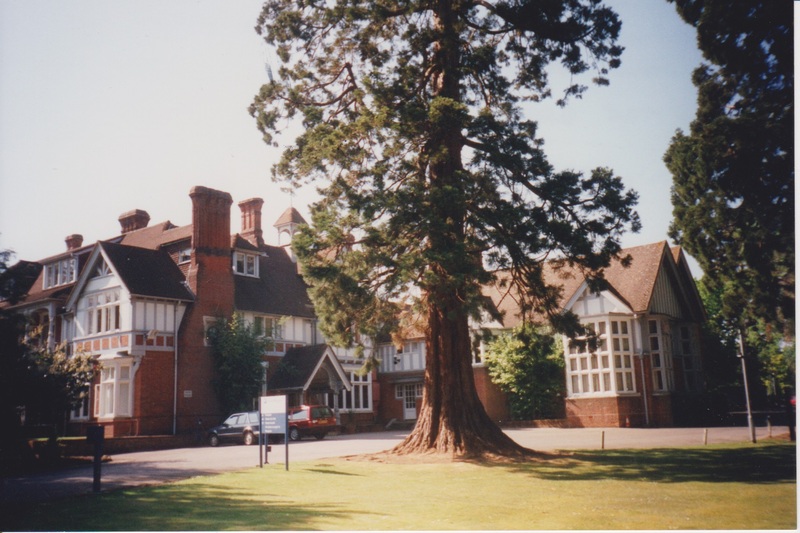 It had a double lodge and entrance gateway at the point near where the footpath, at the end of Old Lodge Drive, enters the A40. The former Wattleton Farm, next to the still extant Wattleton Pond, was demolished to facilitate the building of the lodge. Grenfell commissioned local architect, Arthur Vernon, who was from High Wycombe. Arthur Grenfell died unmarried and childless in November 1895, and Butler’s Court passed to his younger brother Francis Wallace Grenfell, a career soldier. General Francis Grenfell bought Butler’s Court from the Du pre estate for £16,000 and hoped to settle there with his wife Evelyn. However, he was sent back to Egypt and was eventually appointed Governor and Commander-in-Chief of Malta so put the estate on the market. According to sales particulars of May 1896, Butlers Court was “a very attractive freehold residential property ….. approached by a carriage drive through the park and contains entrance and staircase halls, three reception rooms, 13 bed and dressing rooms, bathroom and capital offices. Electric light is installed. Stabling for three horses, coach-house, tastefully laid out pleasure grounds in all about 60 acres”. It took many years to find a buyer, during which time the house was altered and extended with the addition of an eastern library wing in place of the servants’ hall. It was eventually sold, for £27,000, to Francis Reckitt. Reckitt was the joint chairman of the Hull firm Reckitt & Sons, a then leading British manufacturer of household products (the Reckitts ‘blue bag’, Robin Starch, Dettol, the household antiseptic). He and his wife lived at Butler’s Court for only 4 years before his death in 1917 at the age of 90. Captain Shirley Sutton Timmis was the next owner of Butler’s Court. He was a retired Justice of Peace for Lancashire and a retired soap manufacturer. He later became the High Sheriff of Buckinghamshire in both 1938-1939 and in 1940-1941. 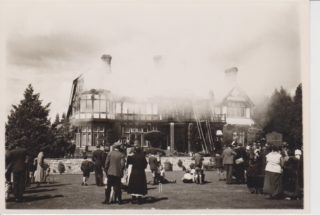 The Timmis family were often absent from Butler’s Court and it was during one such absence in August 1934, that there was a fire which caused substantial damage, particularly to the roof of the building, although it was later rebuilt to the original plan. 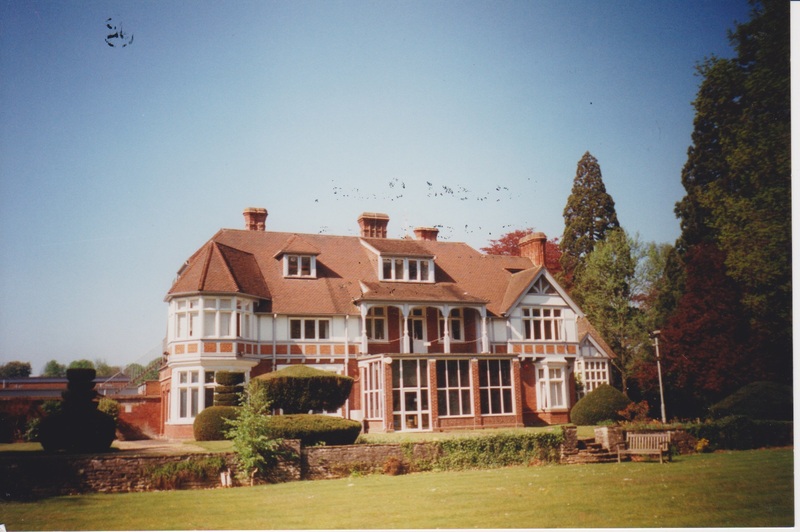 During World War Two the Timmis family moved into Grove House in Grove Road and Butler’s Court was used as a convalescent home for the Free French Forces. It was visited by Queen Elizabeth, the wife of George VI, in 1941 accompanied by General De Gaulle and other dignitaries. After the war, in 1948, it was brought by the London County Council who originally planned to turn it into a special school, but they did not ultimately proceed with this plan. In 1952 it was sold to George Pitcher who was the owner of Seeley’s Farm and in 1956 it became a research centre for the papermakers, Wiggins Teape and remained so for over 50 years. Today Butlers Court is once again a residential property as it has now been converted into impressive apartments and is part of a development of luxury homes built around the old walled garden. The lodge has been demolished. The History of Beaconsfield, Beaconsfield District and Historical Society, (2009). Beaconsfield A History, Hunt, J & Thorpe, D, (2009). My mother, Iris Durrant as she then was, lived in the lodge at Butlers Court with her parents, William and Ada when she was a girl. She was born in 1918 so I would think that was in the 1920s and/or possibly the 1930s. I’m not sure how long they lived there but they later lived in a house in Beaconsfield which is where I think they lived until she got married. She had fond memories of the town and people and used to go back there after she was married and through my own childhood. The last time she went there was in her late eighties when we took her back for a visit. We went to the pub which her father used to frequent and the shop where she had her first job which was then a haberdashers but had become a chinese restaurant. She had lots of anecdotes about her life in Beaconsfield.